What I'm Reading: Dead in the Family | Oh Sarah O ! 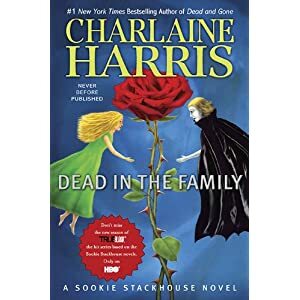 As you may recall, last month I mentioned that I am a huge fan of True Blood on HBO and the Sookie Stackhouse novels by Charlaine Harris. I recently finished book 9 in the series (Dead and Gone) and I am happy to announce that book 10, Dead in the Family, is being released in hardback today! Look for it at your local library, bookstore, or look for it here.